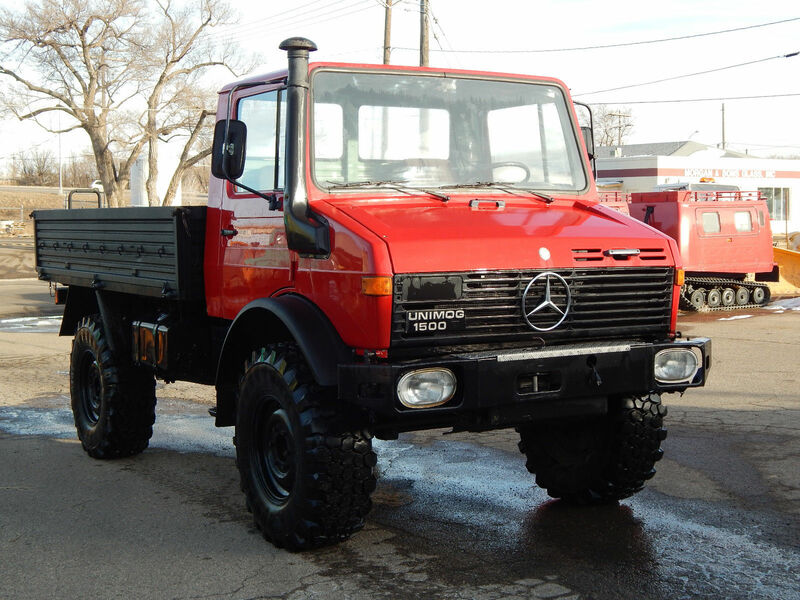 This is a nice Unimog U1300L that we recently acquired. 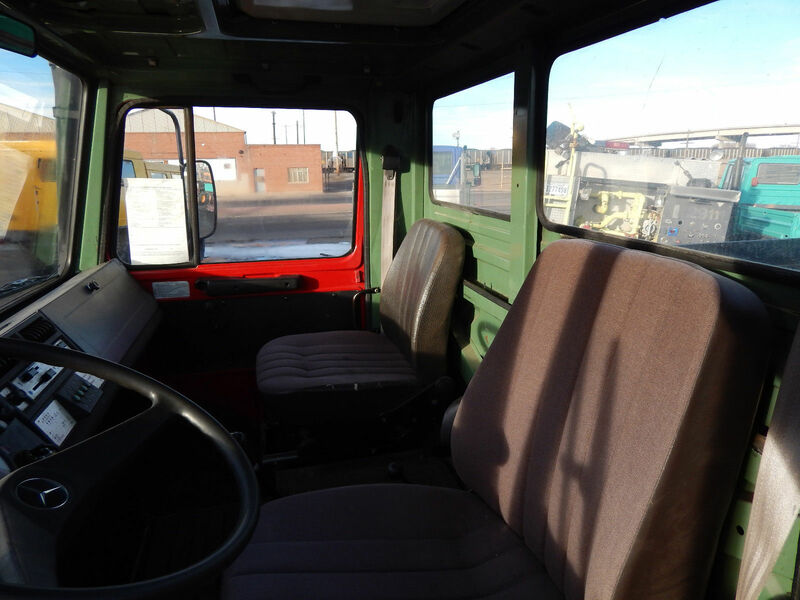 This U1300L has a civilian cab and 12-volt electrical system. 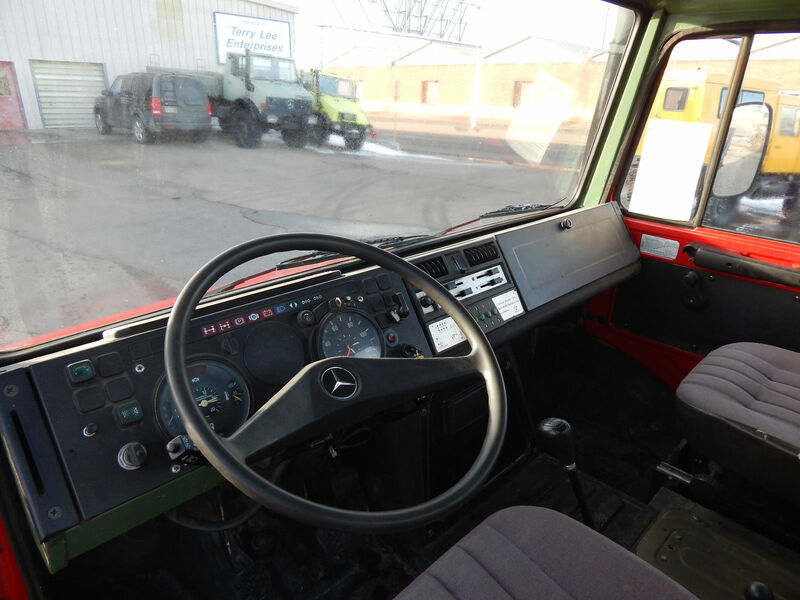 The cab came off of a U1500, as the grill badge shows, but this is a U1300L. 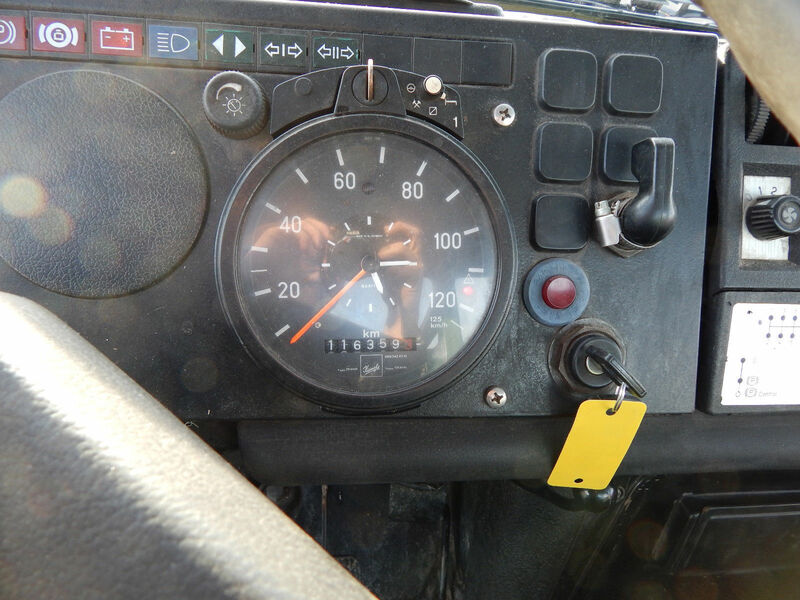 It does also have the 148 horsepower turbo-charged engine from the U1500 which has a pressure-compensated injection pump, engine model 353.958. 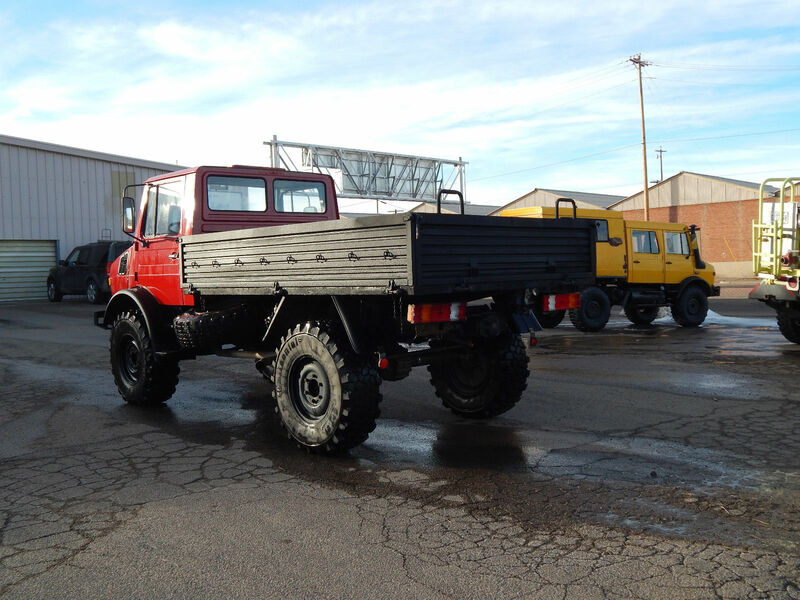 The transmission is the standard 8-speed. 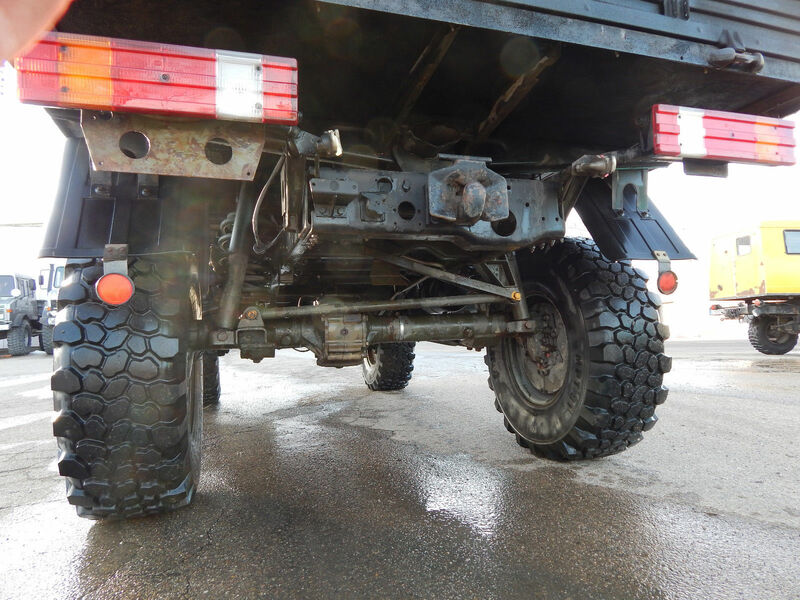 The tires are 365/80R20 Continental MPT81 with about 70% tread. The bed has new 1″ plywood, and has been sprayed inside and out with LineX. 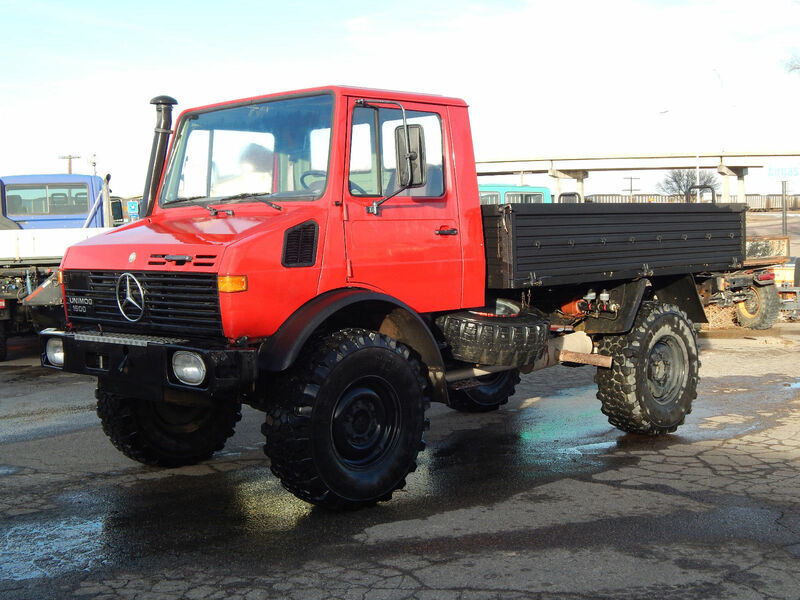 Overall this Unimog is in good condition. 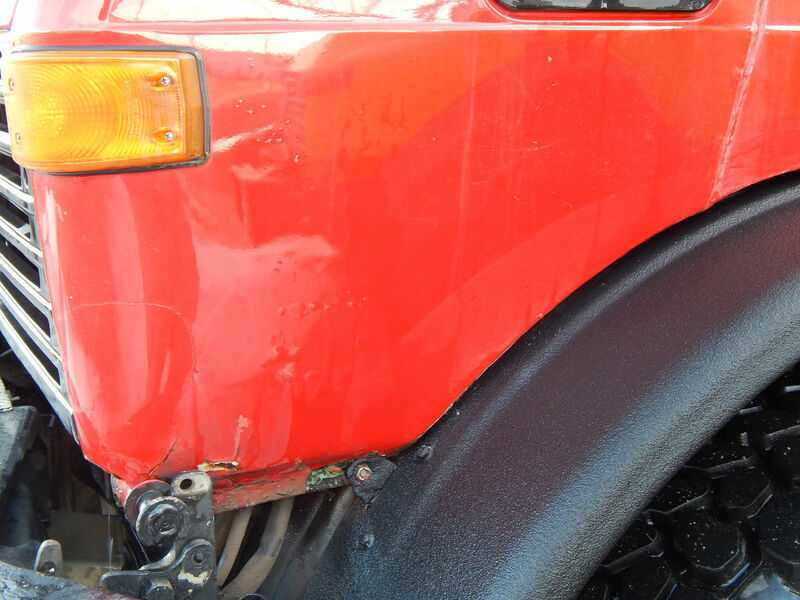 I believe that paint job to be about 8 years old, and there is some cracking in the paint where there was bodywork performed. The last two photos are close-up shots to show this. 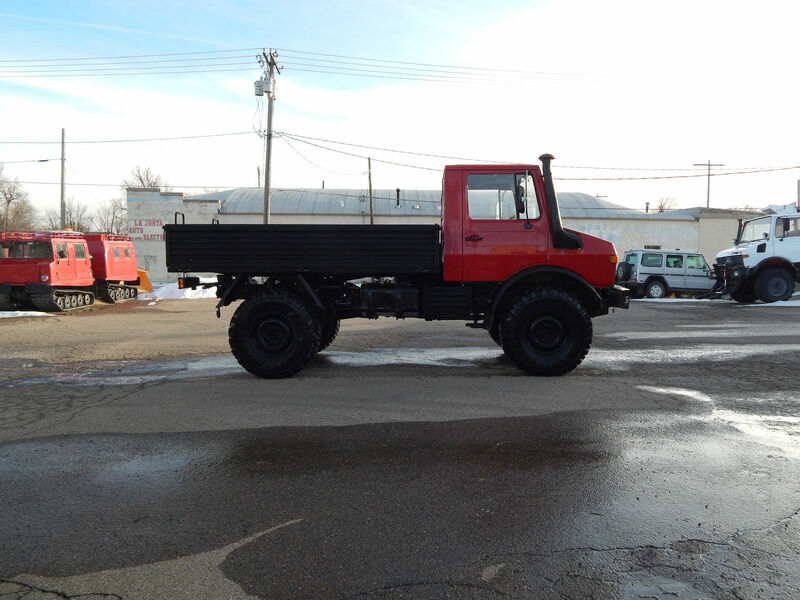 This Unimog is for sale locally, and this listing may be ended at any time.